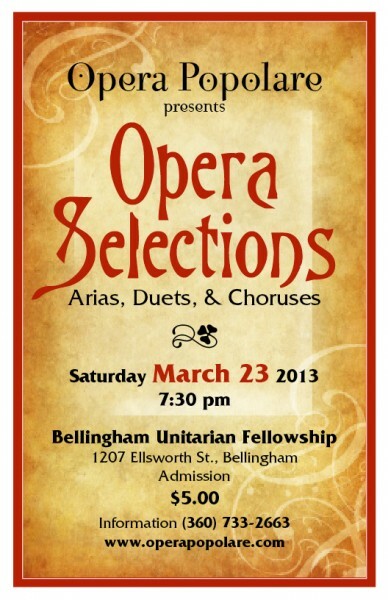 Opera Selections 2013 was performed at 7:30 PM on Saturday, March 23, 2013 at the Bellingham Unitarian Fellowship. Selections from Paride ed Elena, Semele, various Mozart Operas, Gilbert and Sullivan, Romeo and Juliet (Gounod), and others. 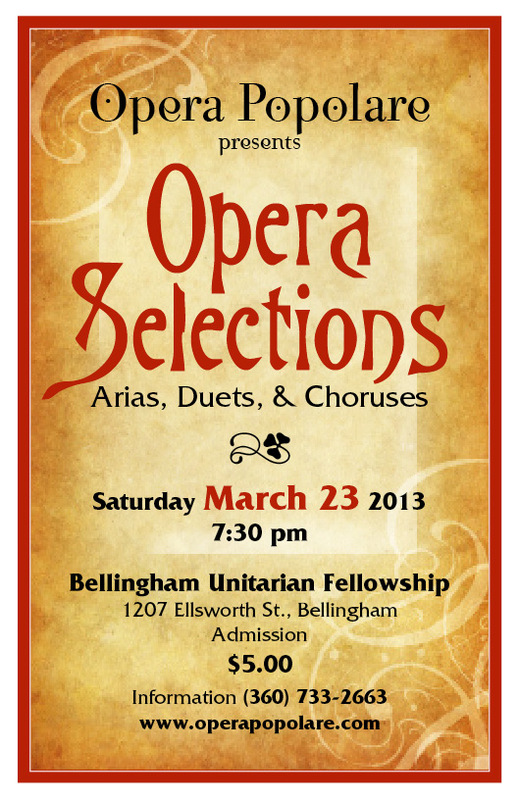 Featuring the Opera Popolare chorus directed by Rob Viens, Wendy Donaghy, Carlo Furlan, Serena Viens, Caitlin Hill, Daniella Smith, and others. Piano accompaniment by Rob Viens.